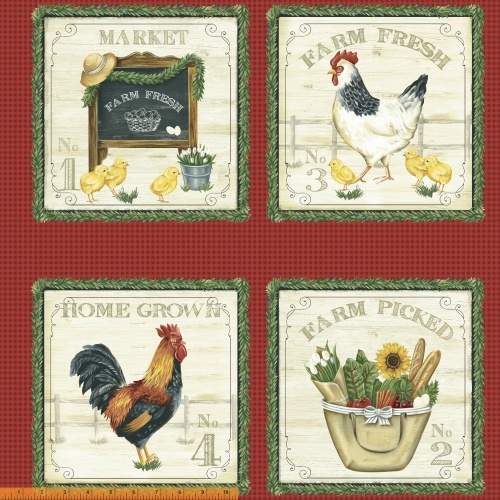 What�s better than farmer�s markets? A whole collection you can use to create quilts to show off your love for them! Use the main pattern to create fun placemats or mix the all over chicken print with the potted sunflower print for a great table runner. You could even create a tote bag for carrying home all of your local produce. 18 skus. On sale April 2018. Delivery to stores August 2018.